i could easily write for the next three straight days about what did or didn’t happen during today’s transfer deadline day. seriously. as i sat and watched the transfer tickers update themselves today, i had about twenty potential topics rush into my brain. why didn’t tottenham sell roman pavlyuchenko? oh yeah, because they decided to part with robbie keane instead. real madrid (finally) did nothing, but that’s smart business during a transfer window for a change. west ham are seemingly plotting to playing nothing but strikers for the remainder of the season. wigan are building a potentially great team behind roberto martinez, with great captures for the future. inter leant a hand to their bitter in-house rivals milan, by sending mancini to the rosanerri. despite facing an impending transfer ban for the next two transfer windows, chelsea didn’t make a single move. those were just to name a few. but none of those really struck me as overly surprising. so what was it that really stuck out to me out about this transfer window? while initially bored by adam johnson being the biggest signing of the day, maybe it's better deadline day went down this way. the most incredible thing of note also happened to be today’s word of the day: loans. that’s not to say that there weren’t sales today. 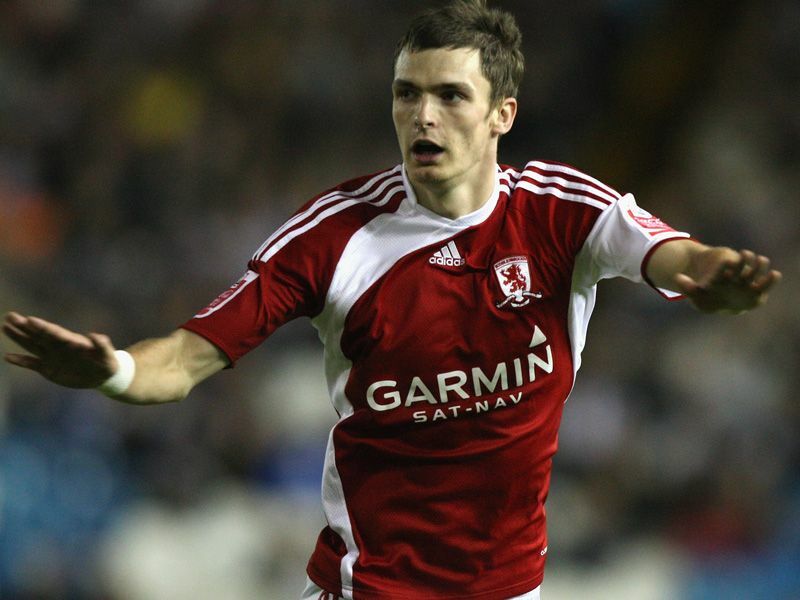 the biggest outright sale of the window, at least in england, was man city’s capture of middlesborough winger adam johnson for a reported £8 million. but really, that’s it? he won’t even be a starter for the citizens (though, he is great cover for petrov and will challenge for regular time). today was an uncharacteristically quiet transfer deadline day. normally, clubs would be throwing around money like it was the week before christmas. it could be making a big splash, high profile signing to make a push for the title or promotion. or it could be to sign a former star to help stave of relegation. not today. it seemed that, for a change, most clubs kept their checkbooks in their pockets. instead, they decided to opt for a multitude of significantly less expensive loan deals instead of dropping a few million to get new players outright. but why is this such a big deal? january has always been the slower transfer window, with more loans coming at this time than during the summer. but there were always a plethora of panic buys, too. and more times than not, those panic buy ends up being a gigantic waste of money. first, it’s hard for a new player to come into a new team in the middle of a season. he has to learn a new system, get to know new teammates, maybe even learn a new language. getting that new player adjusted to his surroundings, as well as contribute to the the team’s goals (promotion, championships, etc.) is very difficult and often times impossible. you’re risking buying a player that won’t fit into your system. secondly, january is a tricky time to even get players in that you really want. nine times out of ten, the selling team knows that the new team is in a pinch. they know that you have goal X that your’e trying to achieve, and they know that you desperately want their player to be able to achieve that goal. this isn’t even considering the fact that a valuable player that you want in your squad is probably just as valuable in the selling team’s squad. this is called, having the upper hand. consequently, the prices of players inflates during january. arsene wenger is constantly quoted as saying he hates doing deals in january for this very reason. long story short, it can be both very expensive, and very risky to buy new players in january. but to loan those players, you cut that risk in half. you don’t have to dump a ton of investment into a player that you’re not even sure will work for your team, you get him for a trial period only having to pay his wages. if he doesn’t work out for you, your not stuck with him and you can send him packing back to his original club. if he does work out and likes playing for you, you already have the upper hand in trying to buy him permanently. with all of the financial difficulties facing so many of the clubs, that’s why it’s so pleasing to see so many clubs making loan moves this january. instead of knee-jerk reacting to a potentially difficult situation or problem facing the club and throwing money at it, it’s like the managers and sporting directors are starting to taking a sensible approach for a change. it shows that maybe, just maybe, that football is starting learn the benefits of moderation. this january’s drastic increases in loan deals seems to show that managers and owners are starting learn the lessons of years past. you can’t always spend your way out of trouble, so show a little more caution in your decisions. these loans show that the clubs could finally be starting to adjust themselves to the world’s financial meltdown. so while today was a little boring and drab without any major signings or shock deals pulling through at the last minute, we could finally be seeing that world of football has some sense in it too. and if nothing else, it’s going to make for an even more exciting summer transfer window. This isnt the world of football coming to its senses, its everyone being broke as hell. So many clubs in debt means no one has money to throw around. Hopefully it clears up by the summer though, everyone being responsible and frugal does not entertain me.